Reading budgets is not easy on the eyes or the brain. 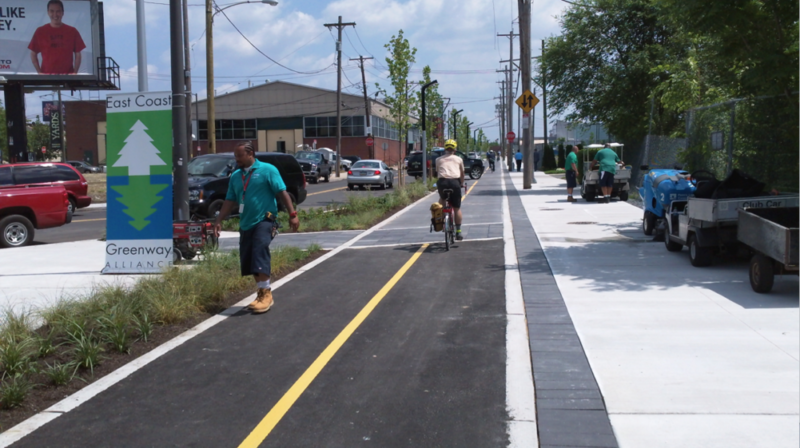 But we found some important nuggets in Mayor Jim Kenney’s proposed FY19 budget related to better, safer streets, and we wanted to share those findings with you. Dedicated staff who install and maintain bike lanes, roundabouts, midblock crossings, rumble strips among other traffic calming interventions. We have called for this type of dedicated crew, as recently as in January when bike lane snow removal was top of mind. This new crew will be, of course, in addition to the second 30 person paving crew that has been recently hired and will start working this spring when the paving season starts up again. 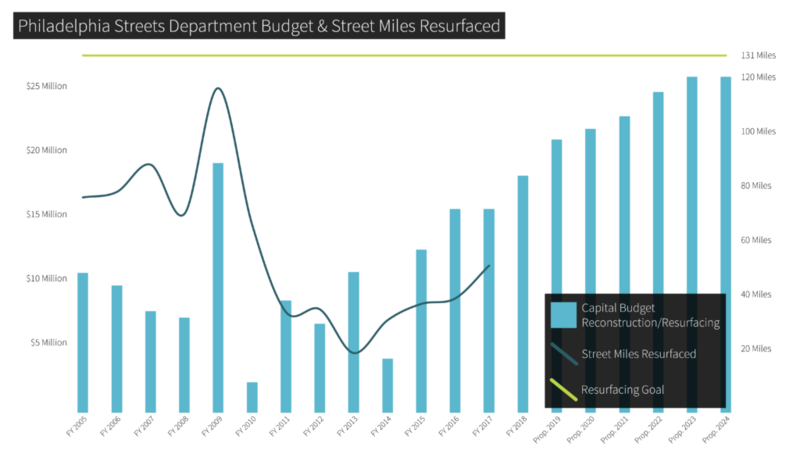 Next, capital funds dedicated for Vision Zero projects in the Streets Department capital budget (p. 176) was bumped up from $5M to $6.5 M over 6 years. While still a relatively small amount annually ($1.5M in FY2019), it’s positive that the figure was increased from what was allotted in FY18. Remember our seven demands and 1500 signatures that an additional $1M a year be added to the Vision Zero office? This is a step in the right direction; an additional $500K to help leverage state and federal grant funding for Vision Zero capital projects. Lastly, Mayor Kenney continues to take seriously the goal of paving 130 miles per year by FY24. He has proposed $26,850,000 for resurfacing and ADA ramps for FY19, which should allow the city to repave 95 miles. The FY18 target for resurfacing was 75 miles; of which 41 was repaved in FY18 Q1 and Q2 (see p. 269 of the Five Year Plan.) Overall, the Mayor proposes bumping up the six year projected allotment of capital funds for resurfacing from $175M to $185M. What’s next? City Council will hold hearings on the proposed budget and proposed tax increases. We will issue a call for action to help convince City Council to support funding for Vision Zero. Stay tuned!